The ideal place to keep your artwork and paintings is on your walls, where you can see and cherish them everyday. However, circumstances might require you to store some of your collection for a period of time. 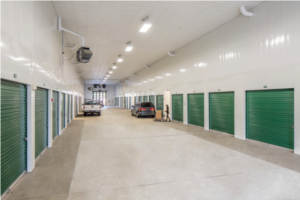 Step 1: Select an area within the self-storage facility that has minimal human traffic. Step 2: Prepare your artwork and paintings for storage. 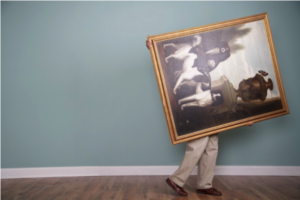 Framed art pieces: Wrap the artwork tightly with a storage blanket or bubble wrap and then use packing tape to seal them. Pad the front and back of the artwork using pieces of hardboard and then tape them together. Unframed art pieces: Use a sheet of silicone release paper to cover the front of the canvas and then wrap using glassine paper. Pad the front and back of the art pieces using pieces of hardboard and wrap using a blanket or bubble wrap. Secure the pieces and layers of material using packing tape. Read on for more information on packing your artwork. Step 3: Stack the art pieces safely. Climate control – Sudden changes in humidity and temperature cause the canvas to slacken and stretch, or tighten. Such changes with time will lead to the paint flaking off and cracking. High humidity also creates favorable conditions for mold to grow. You must ensure that your storage room’s temperature and humidity are consistent – about 55% humidity and temperature of 21 degrees Celsius. Always use padding – Store your artwork and paintings separately, as opposed to laying the pieces against each other or on top of one another. However, if you lack sufficient storage space, you should use a painting rack or padding to stack the art pieces. Lay on flat surface – For long term storage, you should place your artwork on acid free boards or paper and then lay on a flat surface. Cover the paintings – Always use a clean piece of cloth to entirely cover your artwork. This will keep away dust and dirt from collecting on the surface. However, if you intend to store the pieces for prolonged periods, you should take them out for airing occasionally. The aeration prevents humidity build-up, which may cause mold to grow. Avoid attics and basements – You should never store your artwork and paintings in these two places. The damp or dry conditions are likely to damage the art pieces. If you have no other options be sure to take appropriate measures to keep temperatures and humidity constant. Avoid concrete floors or walls – Never lay your art pieces and paintings on concrete floors or walls as they might absorb the dampness and cause damage. Avoid direct sunlight – Always keep your paintings away from sunlight to prevent fading. Avoid direct heat – Keep your art pieces away from heat sources such as fireplaces and heaters. Heat causes paint to become soft and peel off. For additional care instructions, check out our blog “How to Care for Artwork”. 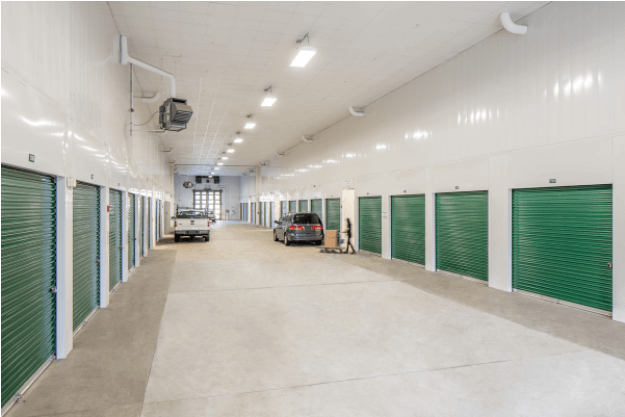 Are you looking to store your artwork in the Boston area? Get in touch with your local EZ Storage. Image by belindah and licensed through Creative Commons.